Heat oven to 350°F. Grease 12 regular-sized muffin cups with butter or cooking spray. 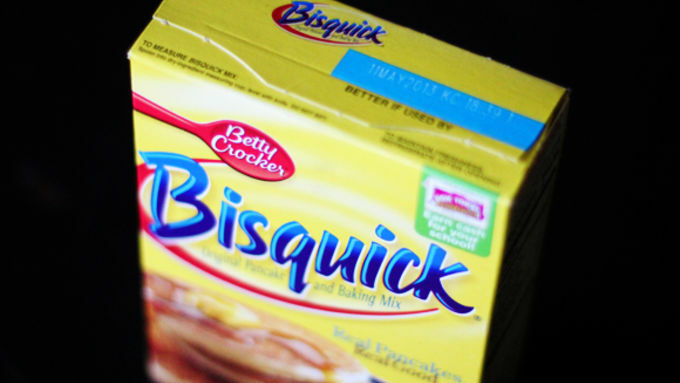 In a medium bowl, whisk together Bisquick™ mix, Italian seasoning, 1/4 cup milk, butter and 1 egg until soft dough forms. Divide into 12 equal pieces, and press into each muffin cup to cover the bottom and sides. Bake 8-10 minutes or until golden brown. Meanwhile, in a large bowl, whisk together the 5 remaining eggs, remaining 1/4 cup milk, salt and pepper; set aside. In a 10-inch nonstick skillet, heat olive oil over medium heat. 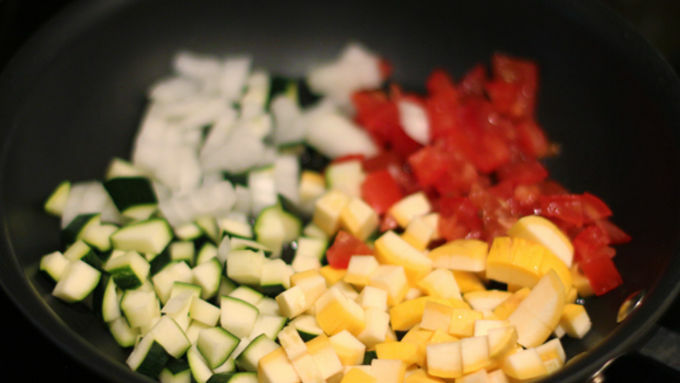 Add zucchini, squash, tomatoes and onion and saute for 3-5 minutes, stirring occasionally, until the onions are cooked. Add the egg mixture to the vegetables, and cook for an additional 1-2 minutes, stirring occasionally, until eggs are loosely set. Gently fold in cheese. Remove biscuit cups from oven. Using the back of a spoon, press the puffed crust into the cup to make a deep indentation. Spoon egg mixture into cups. Then bake for 10-15 minutes or until eggs are just set. To remove from pan, run a thin knife around the biscuit cup and lift out. Garnish with fresh basil. 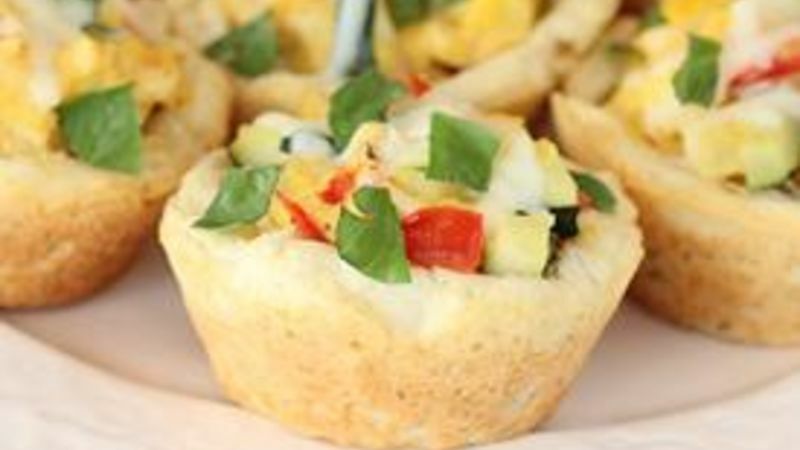 Serve up your favorite summer veggies in these cute little hand-held biscuit cups! As much as I adore fresh summer veggies, by the end of the summer I’m always looking for some new ways to put them to use. So for a fun and different idea, I decided to sauté some of my leftover veggies of the week (zucchini, squash, onions and tomatoes) to serve in these cute little biscuit cups! 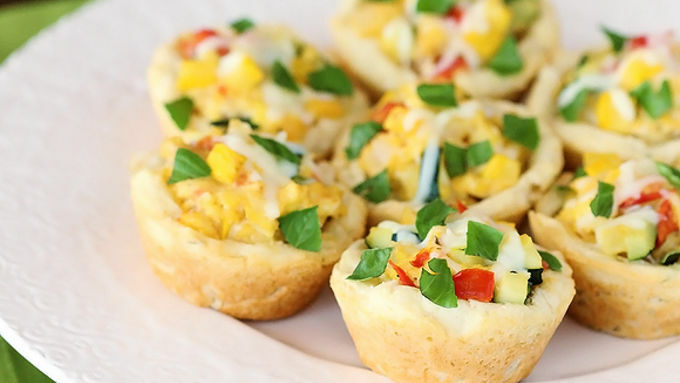 These little Scrambled Veggie Biscuit Cups are easy to make, and are a quick breakfast, lunch or dinner crowd pleaser! I went with a little bit of an Italian twist on this one, using mozzarella, fresh basil and Italian seasonings. But you could easily sub in your favorite seasonings and cheeses, and this is DEFINITELY a versatile recipe where you could throw in any of your favorite or leftover veggies. Too cute. And too delicious. My favorite combination!